Pen is mightier than sword, they say. And now an artist from Kerala has made the pen a weapon of choice to fight the plastic menace. The thought is so simple that it almost leaves you feeling, “How come no one thought of this before!” Called the ‘Pen Drive’, the main objective of the initiative is a fight against the use of ball pens. The reason? Ball pens are made of plastics and as bad as plastic bags and bottles. This is the brainchild of Lakshmi Menon, a well-known artist. When we speak about plastic pollution in India, all we think about is plastic bags and bottles. We are mindful about those things, but what we tend to neglect are these actual monsters – ball-point pens/plastic pens. These cannot be recycled as it is tough to segregate the metal nib and ink from these pens. As a result, these pens end up in our water sources and landfills polluting our water and soil, says Lakshmi Menon, who is an artist from San Francisco. The main motto of the drive is – Replace ball pens with ink pens. 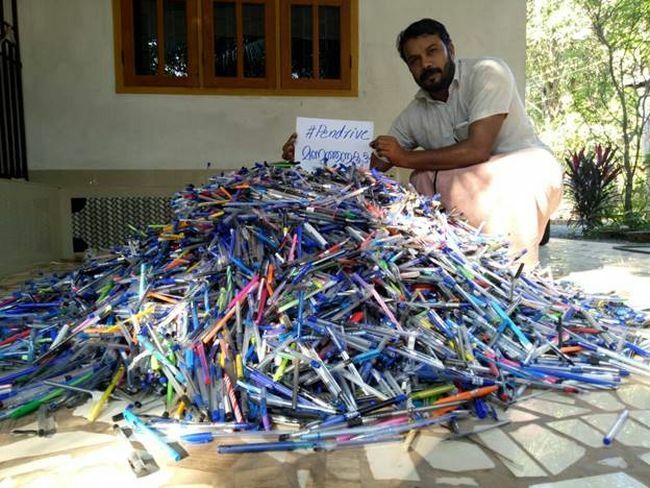 The ambitious drive is now one of the largest plastic waste management efforts in Kerala, and it aims to spread the awareness about the problem that plastic pens pose and why it is important to inculcate the habit of using ink pens and reusable pens. According to the estimates, school students in Kerala alone throw away more than one and a half crore pens in a month. The Pen Drive campaign aims to target this throw away culture and plastic pollution at one go. As Kerala is the most literate state of India, even maids here have ball-point pens at home, I thought if 3 crores people do away with one pen each then we can drastically reduce plastic pollution in our state and slowly everyone can follow on these footsteps, adds Ms Menon. Supported by the state government, the drive has caught the attention of a lot of people now, be it schools, colleges or individuals. 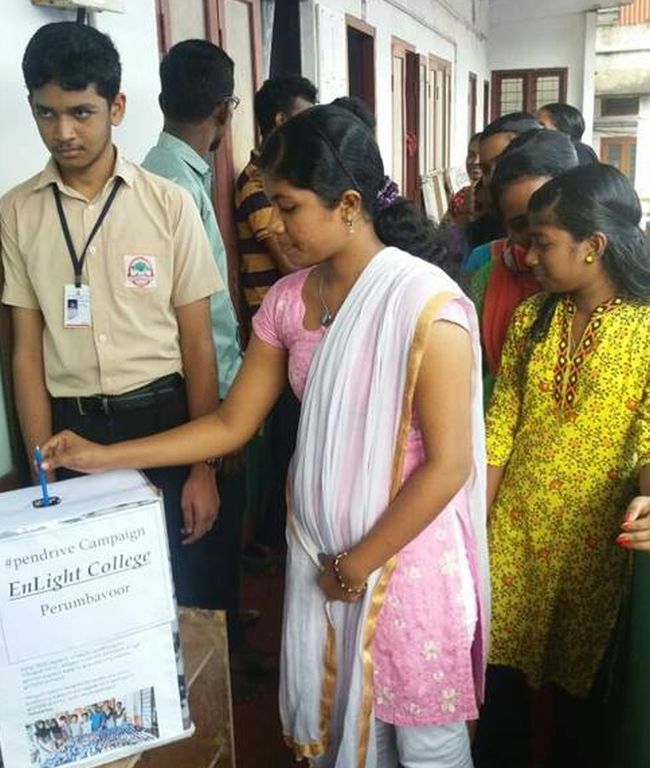 Colleges and schools led the way – Mar Athanasius college collected about 35,920 pens to do their bit for the cause. When we got to know about the initiative, we knew we will support the cause. It’s not about plastic pens alone; it’s like a movement against plastics which has kick-started in Kerala, says Shari Sadasivan, Head of M.Com Business International Department in Mar Athanasius college. Till now about 7 lakhs plastic pens have been collected though this drive – so one can imagine how much load on landfills and rivers have been reduced. 42-year-old Lakshmi Menon was a resident artist in San Francisco, then she moved to Kochi in Kerala where she started mixing art with social development. 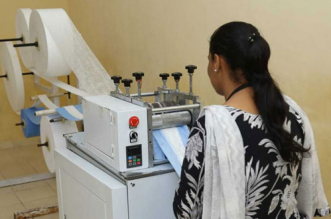 Talking about some of her much-appreciated work from the past – she is the woman behind the GrandMark, the brand that has senior women citizens engaged in creating simple products. Adding to her kitty, she has also created water lamps in Bhopal, the plantable pen that when discarded, grows into a tree. She also led ‘Orange Alert’ movement that warns motorists when they are near potholes or unmotorable roads. The concept of ‘Pen Drive’ further evolved to blend art, literature and environment in a unique way to spread awareness about the threat that plastics pose to the environment and us. With all the collected pens Kochi Biennale Foundation which is a non-profit charitable trust engaged in promoting art, culture and educational activities in India will be making a huge digit ‘1’ in Kerala which will be an installation titled ‘Immini Balya Onnu’ (A Big One) which is a phrase taken from the much-loved book ‘Balyakalasakhi’ by legendary litterateur Vaikkom Mohammed Basheer. The sculpture will convey a strong message of environment protection and conservation, added Ms Menon. Apart from motivating people to return to reusable pens or ink pens, Ms Menon also stressed on the fact that current generation should be made aware about the ill-effects of plastic pollution on our planet. Parents should inculcate the habit of using ink pen and not the plastic pens in their children since the beginning – this will not only help in better management of waste but will also save the future generation. 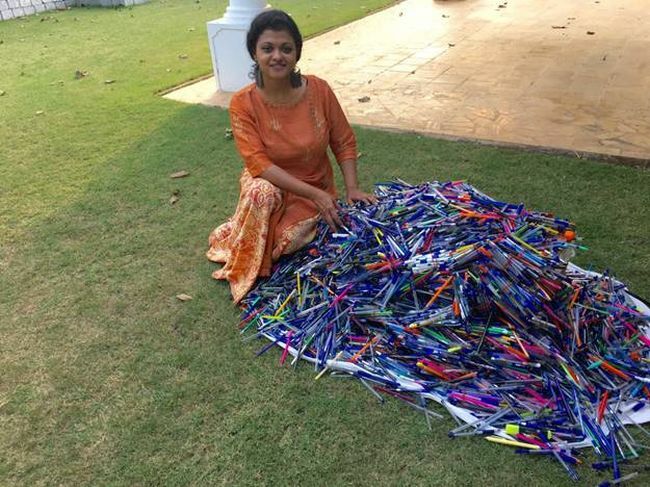 After Kerala, Ms Menon’s plan is to kick-start ‘Pen Drive’ campaign in Bhopal. She has joined hands with the Government there and the campaign will begin from first week of February. From the discarded plastic ball point pens collected, the plan is to make an installation, ‘Bhopal Gate’ there. 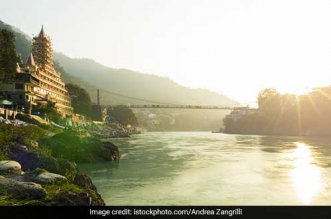 If the impact of this simple idea is so huge in just one state, then imagine the scale of what can be achieved if each one of us in India give up at least one plastic pen. That’s over one billion less pens made of plastic in our overflowing landfills.